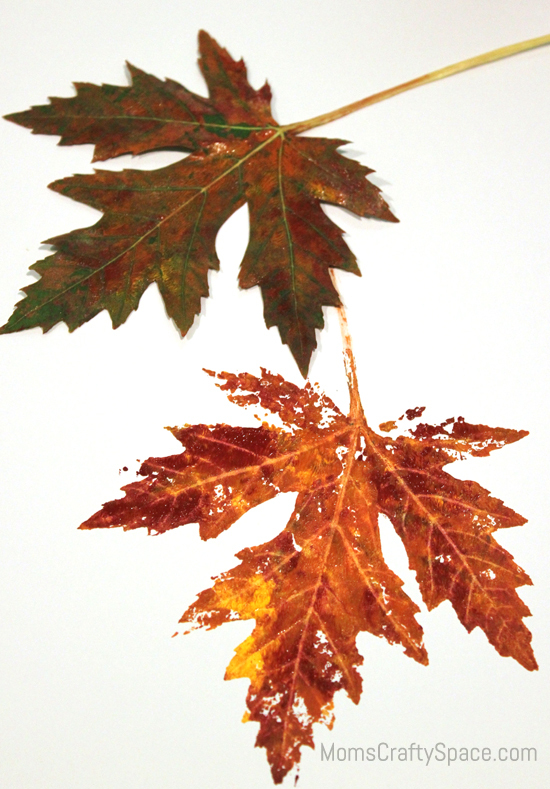 Leaf printing is a lovely way to capture the changing colors of the season. 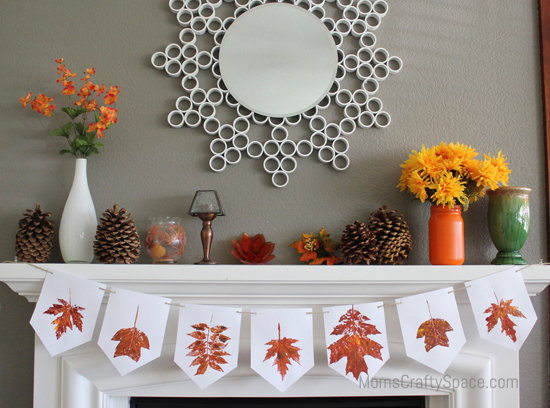 Spend an afternoon creating this leaf printed banner with your family, and this beautiful autumn display will last in your home until long after the last leaves have fallen. Start by gathering your leaves – softer leaves work best for printing, so leave the crunchy ones on the ground and seek out the more flexible and green ones. 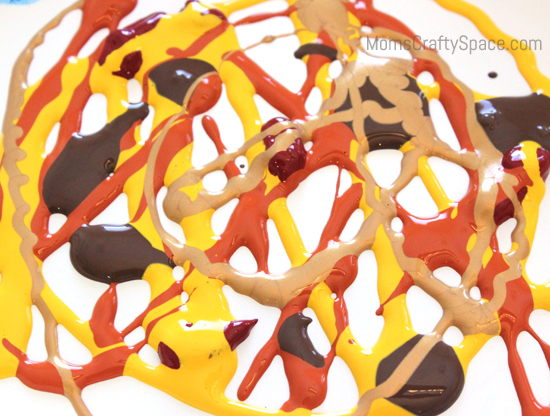 Pour several different colors of paint onto a paper plate or baking sheet into a thin layer, overlapping to create a marbled effect. 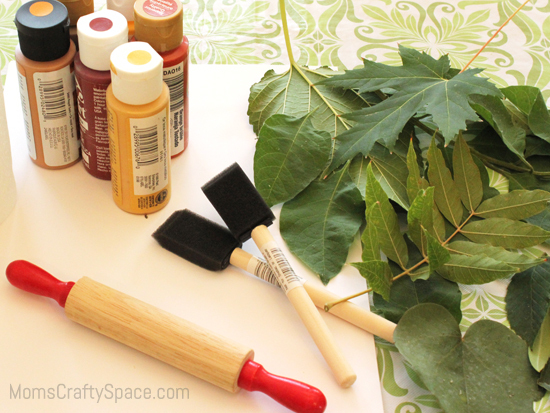 Older children can use a foam paint brush to dab the marbled paint on to their leaf. Younger children can dip their leaf directly into the paint tray, but be sure that there isn’t too much paint on the leaf or it will result in a gloppy and distorted print. Avoid this by using only a very thin layer of paint in the paint tray if you intend to dip your leaves into it. 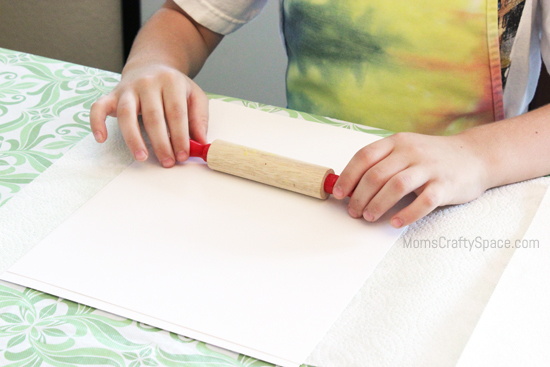 Sandwich your painted leaf between two sheets of cardstock and lightly roll over the stack with a rolling pin. Use firm but gentle pressure for the best printing results. 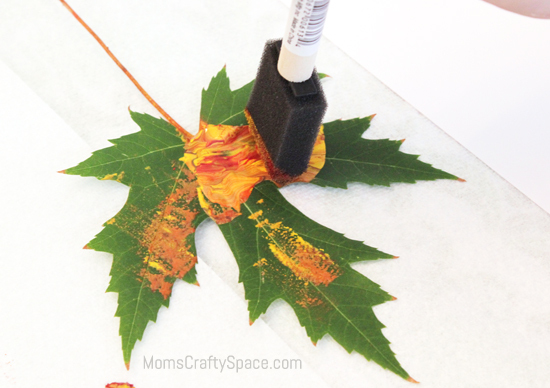 Remove the top piece of cardstock and carefully peel up the leaf to reveal the print. 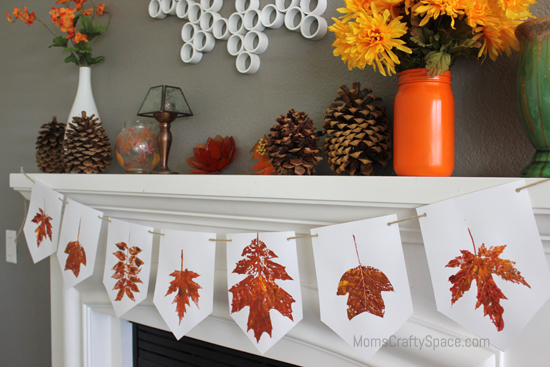 To create a banner from your leaf prints, cut your prints to your desired shape and size, punch a hole in the top corners and string them along a piece of twine. This article originally appeared in the October 2012 issue of Sacramento Parent magazine. As always, the ladies there were super wonderful to work with, and it was an honor to be included in another issue of such a great family magazine! These look incredible! They look like leaves after they’ve changed color and I love the paint technique. I love this banner! It is so simple and elegant. I’m sure the kids would have a wonderful time making it too! Thanks for sharing. I did this with my 3 year old daughter today, it turned out beautifully and was a lot of fun for both of us.